Russia continues to pull ahead of its oil rivals including Saudi Arabia in China, the world’s biggest energy user. The Asian nation’s imports of Russian crude jumped 61 percent to a record 6.35 million metric tons in September from a year earlier, according to General Administration of Customs data. 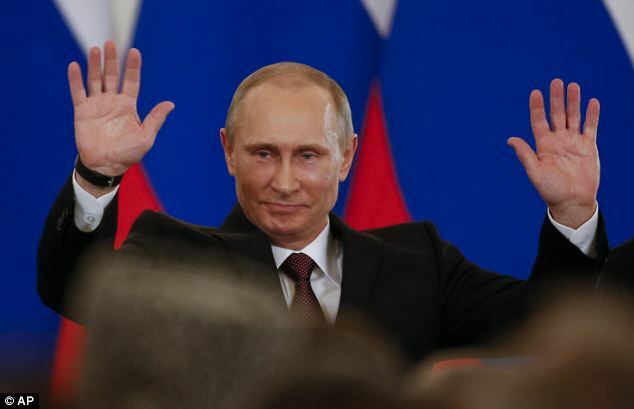 That helped Russia retain the top spot for the seventh straight month. Saudi Arabia, the world’s biggest crude exporter, supplied about 10 percent more at 4.28 million tons, while retreating to the third-biggest. Angola was the No. 2 seller. Russia is on a path to become the top supplier for the full year again, after last year surpassing the Middle Eastern kingdom that has been a dominant supplier for years. 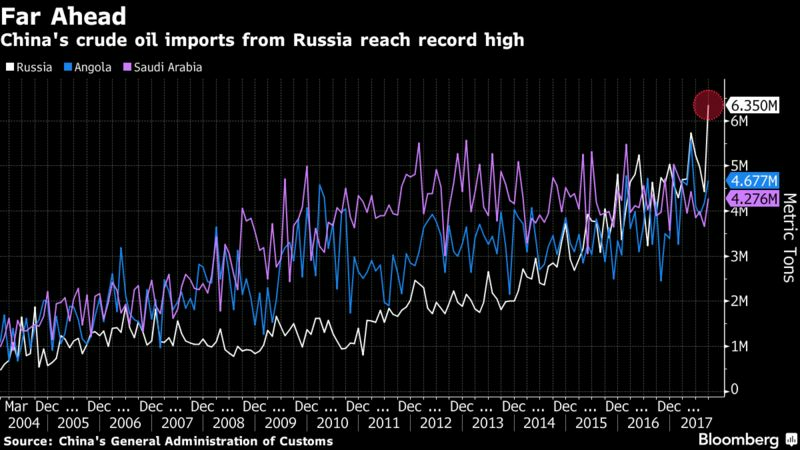 Russian shipments during the first nine months were 45 million tons, the biggest volume among suppliers, data compiled by Bloomberg show. Angola shipped 39.9 million tons and Saudis 38.5 million tons. Russia is dominating amid heightened competition for major markets including China and India as OPEC and other producers such as Russia implement output cuts to clear a glut and lift oil prices. The nations that are part of the deal will meet on Nov. 30 in Vienna to discuss prolonging the curbs beyond March.